Move over rolling book bags of the past! 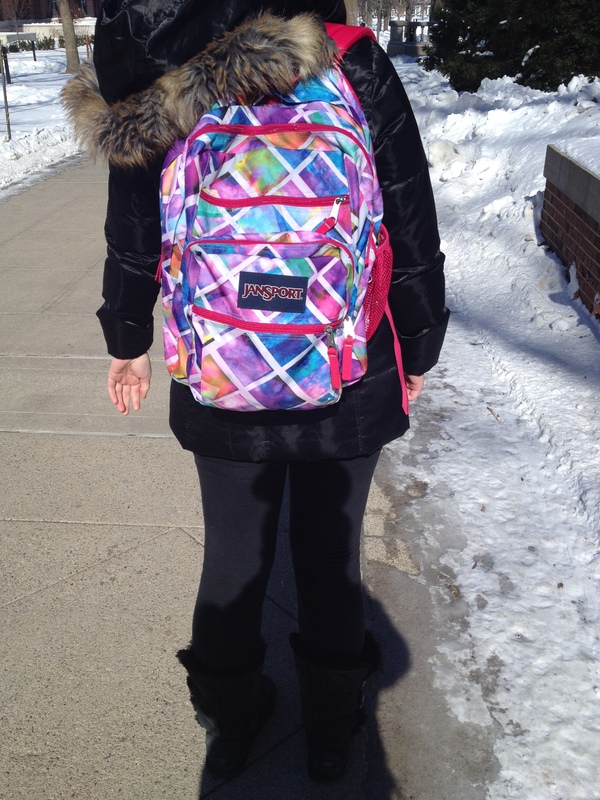 These college kids show off their fashionable, and funny book bags this week as they walk to class in style. colored book bag. These pretty colors are the perfect distractions from these cold winter days as they bring us the refreshing sight of spring. 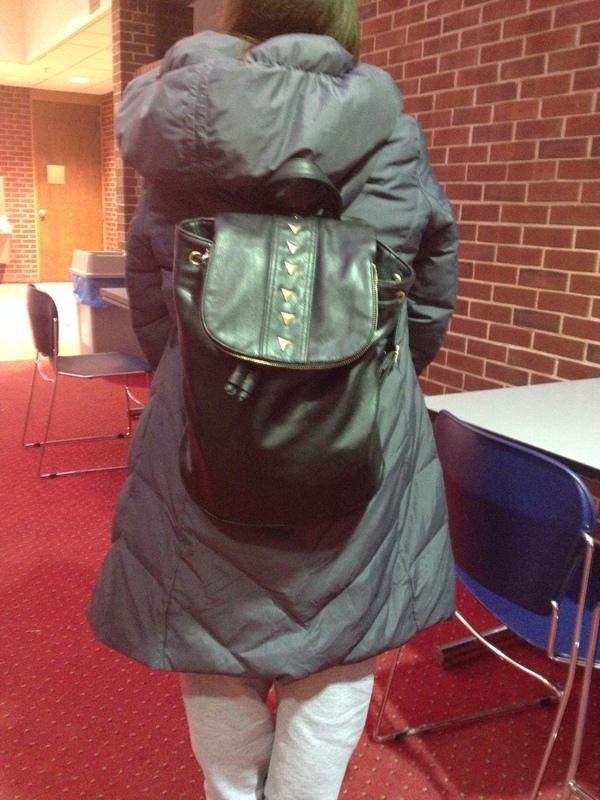 Sophomore Alex Brown is wearing a tan Hershel book bag. The sweater-like pockets with hints of color along with the blue tags on the zippers give this simple book bag a bit of spice. Heavy textbooks and a bulky computer does not stop this fashionista from being fabulous. Junior Caitlin Schutz fiercely wears her leather bag with gold-studded details on the flap. The leather drawstring adds extra protection, and most importantly, extra cuteness for her books. 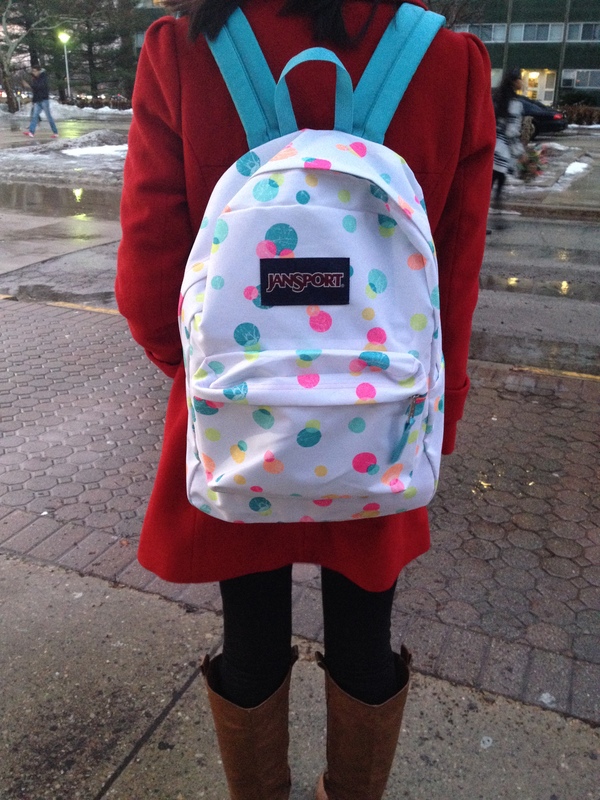 Fabulous freshman Maggie Jin is wearing a very cute white Jansport book bag with pretty pops of color. The colorful bubble-like circles and the blue straps gives this book bag a whimsical and playful flare. 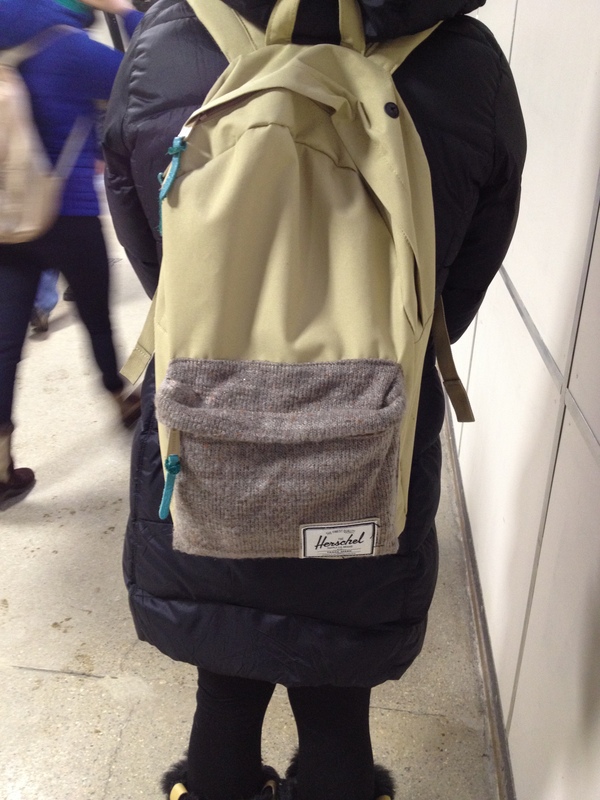 This book bag can brighten up anyone’s day, rain or shine. 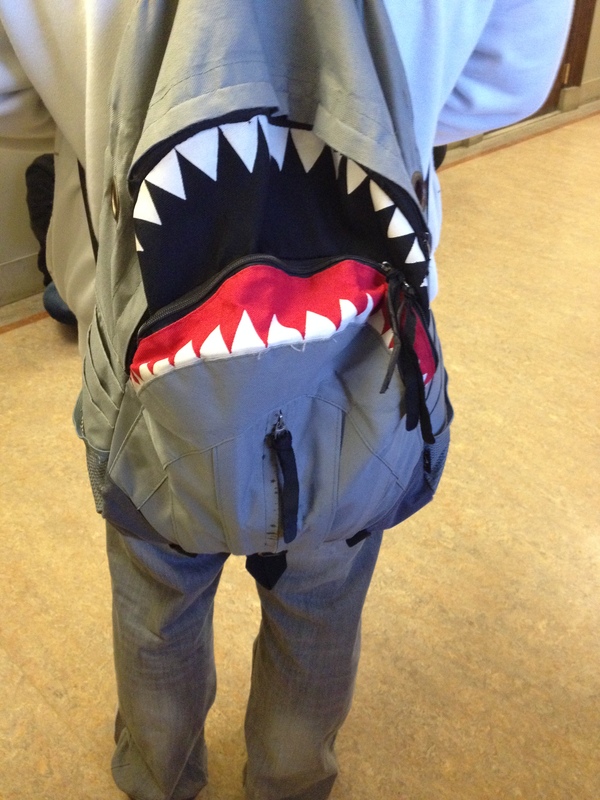 Sophomore Andrew Chin and his shark book bag are lurking around campus, ready to attack his classwork. This book bag comes equipped with eyes, a bright red mouth, and scary teeth, sure to scare off any professor that tries to give this duo too much homework.